“Want a nice place to stay overnight but on a budget? Then ND Hotel will definitely be your solution! We are in the gap between super stars and no star, please allow us to serve you with our comfortable beds, hot shower and basic amenities. 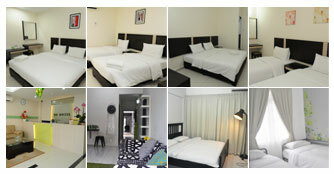 All rooms are equipped with complimentary wifi and spaces free parking. ND Hotel is located strategically as it is minutes away from tourist atrraction areas, shopping centre, and cheap food with a number of bus stop nearby and minutes’ drive from Melaka centre (Bus Station). Your stay in our hotel will undoubtedly be satisfying. As always, we wish you a warm welcome to ND Hotel.